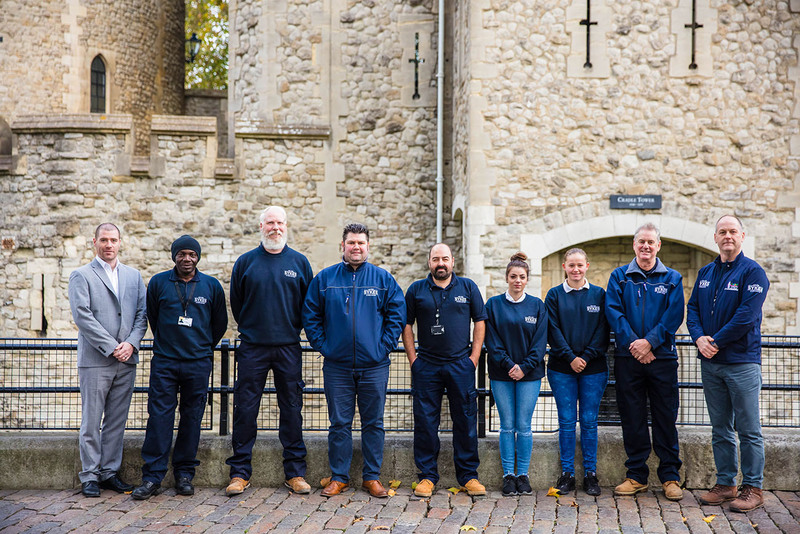 Sykes & Son Limited have recently commenced a 5-year measured term contract for planned and reactive building fabric maintenance and small works at Her Majesty’s Royal Palace and Fortress of the Tower of London. The contract also includes the Banqueting House in Whitehall. This contract has been held on a number of occasions previously by Sykes – most recently for a 7-year period up until 2015. The service includes a site based manager together with a resident team of operatives covering all general building fabric skills. Other trades are covered on an ad-hoc basis depending on workload including: metalworker; scaffolder; decorators; stonemason. 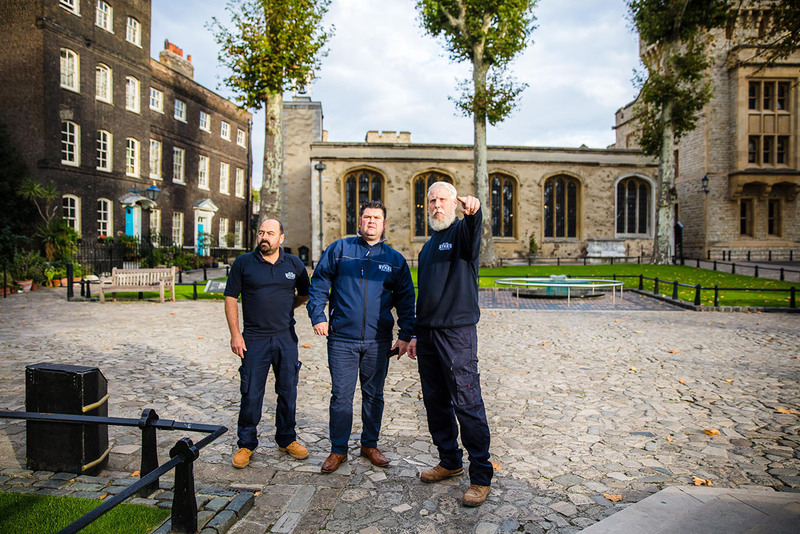 These specialist trades are covered either by resources directly employed within the Sykes business or sub-contractors with experience of working at the Tower of London. 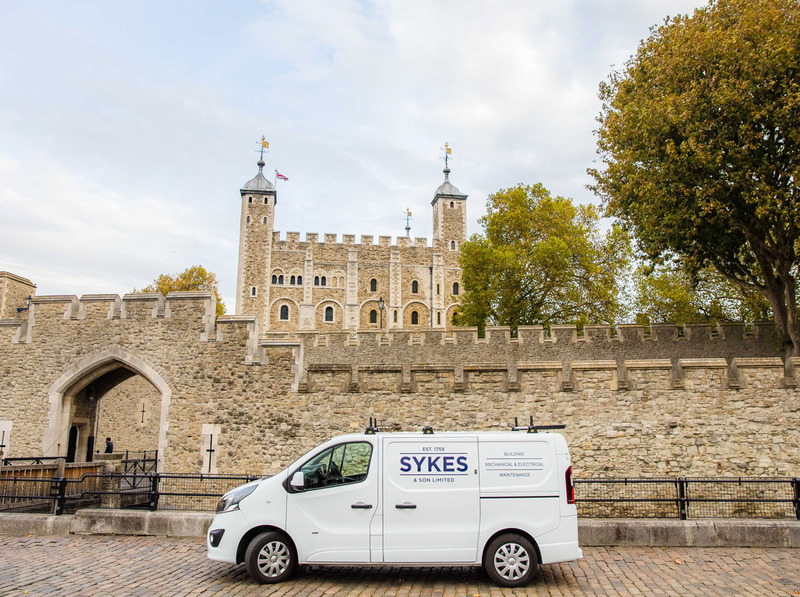 Sykes have worked with Historic Royal Palaces on a number of sites including Kensington Palace and Hampton Court Palace. 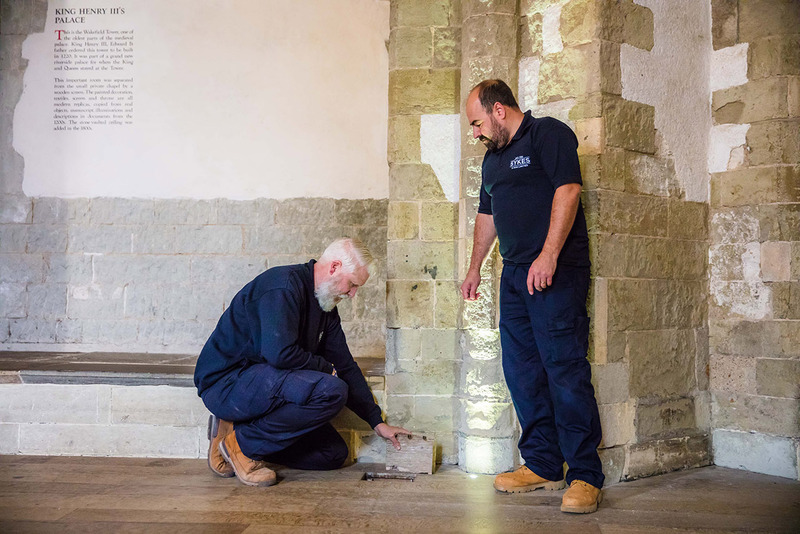 Works have varied from minor maintenance to significant restoration projects. Given the high-profile nature of the site as a tourist attraction, Sykes have provided support to numerous public events taking place. In 2012, medals were awarded to our team for their services during the Jubilee celebrations and Olympic Games. In 2014, Sykes received a letter from Historic Royal Palaces to thank the team for their work to help launch the ‘Blood Swept Lands and Seas of Red’ installation on site.